As they say, protect your neck. It happens to all of us, some of us more often than we might like: Neck and shoulder pain. Sometimes it can be minor pain, and sometimes it can be agony. Either way, you should know the most common causes, and what you can do to keep yourself out of pain. The most obvious cause of neck and shoulder pain is, of course, overdoing it. Overexertion can strain the muscles and force your body to insist that you take a rest. Sometimes, the results of overexertion won't sink in until the next day, so you might wake up unhappy. The solution? Take it easy for a day or two, and try not to strain your muscles too much. How many of us spend our days hunched over a keyboard, wrists in the air, tapping away at emails in an uncomfortable office chair? Poor posture pushing our necks out of a balanced position can have enormous, although subtle, effects on everything from our moods to our overall health, and one of the ways it manifests is through aches and pains. Solve this problem by building a more ergonomic space at work that lets you sit up straight and keep your hands even. Proper alignment of your neck can help you reclaim your health. Consider booking an appointment with Upper Cervical Health Centers Boise today. Pinched nerves, also called compressed nerves, strike when you've got a nerve that's going through a narrow area, and doesn't have a lot of soft tissue to cushion it. Hence, nerves near bones, tendons, and ligaments are all at risk of becoming pinched nerves. The main way to treat a pinched nerve is rest. If the pain continues, though, it is advised to find and consult with a competent Chiropractor immediately. Tendons are what connects our muscles to our bones; as such, they do a lot of work, and help keep the joints secure along with the ligaments. That said, work a tendon enough and it will inevitably become damaged, or possibly inflamed, causing neck and shoulder pain. If you have chronic tendonitis that is not going away with rest then it is time to seek out a Chiropractor for a joint evaluation. For many cases of tendonitis, the answer is, just like muscle strain, to take it easy, NEVER TAKE IBUPROFEN as this will slow down the healing process. Physical therapy can also be considered after seeing a Chiropractor for a joint evaluation. But, if pain continues, or you think you have a ruptured tendon, this would be an emergency, call your doctor or head to E.R. ; surgery may be your only option. The neck and shoulders need proper alignment. What's an upper cervical misalignment? Simply put, your neck and your head are not in proper alignment. This may sound like something you'd notice, but many of us go around for years without realizing we've got an alignment problem. In fact, it can be easy to mistake the pain caused by this misalignment with lower neck and shoulder pain or the normal aches and pains the body collects as we get older. If you've ever had a sports accident, a car accident, or some other form of neck or head trauma, you might be out of alignment and not even know it. The solution, fortunately, is simple. At Upper Cervical Health Centers, we can put you back into alignment and clear up a surprising amount of aches and pains. Many people are genuinely surprised how much a simple alignment improves their health and quality of life. Don't "live" with pain. For a complimentary consultation call Upper Cervical Health Centers at (208) 559-0541 or click here to send us a consultation request. Discover how much better you can feel with, literally, your head back on your shoulders. Are You A Victim Of A Rare Disease? Choose an 'Unconventional' Path! Medicine has evolved in recent times to perform miracles when it comes to the most serious emergency trauma situations. However, what if you do not have an emergency trauma situation? What if you suffer from something worse, something that cannot be seen; only you can feel it with every passing breath? Medical practitioners, generally term such conditions as idiopathic – a condition without any known cause; hence, without an established treatment plan, and no known cure. Figure 1 Vertigo - A confusion between your mind and body. If you suffer from Vertigo, it may be the result of another existing condition such as, Meniere’s disease or without any connection of other symptoms, in which case, it is known as benign paroxysmal positional vertigo (BPPV). However, in both cases, it is confusion between the mind and body, leading to recurring dizziness, spinning sensations and loss of balance that keep getting worse. Even then, a medical practitioner will not be able to help you unless he sees proof of your condition in seemingly endless medical exams, to confirm your diagnosis. Even with a diagnosis what are your options in a medical setting? DRUGS or SURGERY. A colossal waste of time and money! This is when it is essential to defy the norms, rely on Alternative Medicine. One such branch of Alternative Medicine is Chiropractic Care, more specifically, Upper Cervical Chiropractic Care, which relates the condition of vertigo to spinal defects, and brings hope for long-term relief. Vertigo alone, or associated with other dysfunctions such as Meniere’s disease, is not only caused by defects in the inner ear function. Instead, disequilibrium is most commonly cervical in origin. The cervical spine, therefore, has been established as the leading cause in regulating the body’s sense of equilibrium. However, to confirm if your state of vertigo is of cervical origin, you should take the initiative of taking the Hautant’s test before any physician prescribes it for you. This test measures the ability of the cervical spine to appropriately regulate the muscle tone in the extremities. 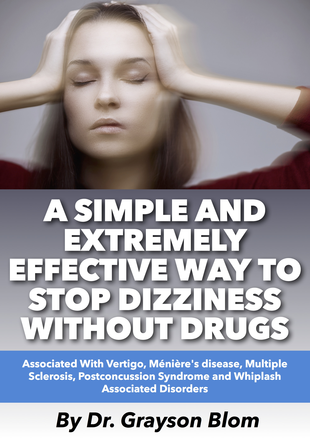 To learn more about the connection between vertigo and head and neck injuries, download our complimentary e-book, A Simple and Extremely Effective Way to Stop Dizziness without Drugs, by clicking the image below. 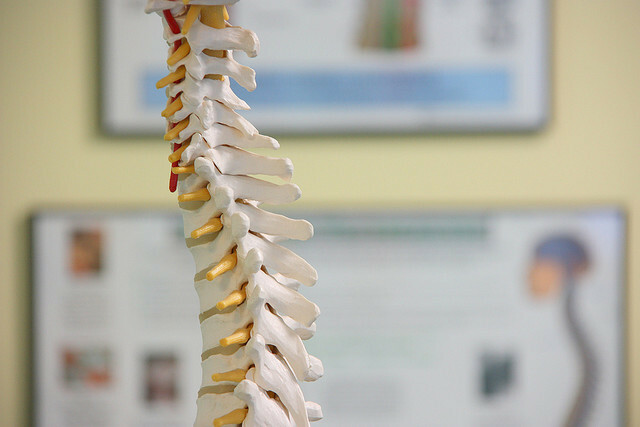 How Can Upper Cervical Chiropractic Care Help You? The first neck bone or the first cervical spine is called C1. The unique position and shape of this bone provides a coupling mechanism between the head, neck, and lower spine. Most importantly, inside the top of the spine, closest to C1, lies the lower part of the brain stem and the beginning of the spinal cord as shown in Figure 2. Disturbance to C1, may lead to a change in its position, causing disruptions and in severe cases choking of the nerves communicating with the inner ear; hence, causing vertigo like symptoms. 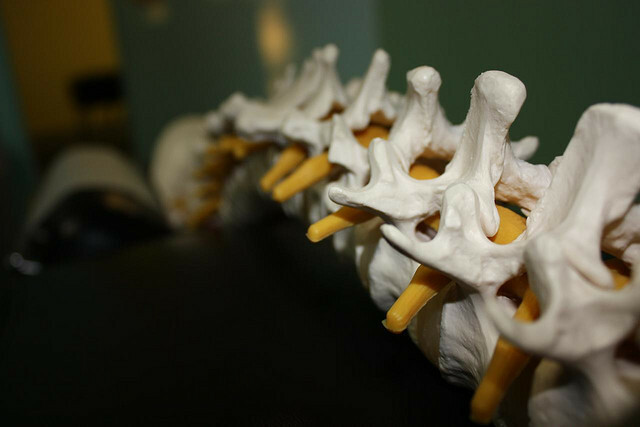 The basis of the Upper Cervical Chiropractic Care in Alternative medicine is to re-adjust the cervical bone, to be able to release the pressure off the brain stem and spinal cord. By reducing this pressure, the transmission of nerve impulses, is no longer hindered, allowing the body to naturally reduce and eliminate vertigo symptoms by correcting the root cause. Upper Cervical Chiropractic Care might not be the first treatment you seek for your condition of Vertigo; however, it is the only hope to relieve you of your daily symptoms, by providing a clear communication path between your mind and body. If you suspect that you have a neck problem causing your vertigo or Meniere's symptoms please give us a call at (208) 559-0541 for a complimentary consultation or click the button below. 1. Abnormal posture creates excessive gravity stress on the neck and back. This occurs when and injury damages connective tissues causing the head to shift away from its true center of gravity. 2. Asymmetrical muscle imbalances will develop throughout the neck and back to counter balance the head being off-center. 3. Chronic adaptive changes (PAIN) will develop in the neck and back over time. 5. Fibrosis or scarring and thickening of connective tissue will develop in high stress areas in the neck and back. a.) The discs under high stress will wear out at an accelerated rate, due 1.-3. b.) Neurovascular entrapments can occur or disruption to normal blood flow in and out of the head. Headaches and other NERVE problems can and commonly do result. c.) myofascial or muscle and soft tissue pain syndromes can develop. The spine will usually twist and lean to one side or the other resulting in problems on that side. d.) Over use syndromes commonly develop on one side or the other. Dr. Grayson Blom works with a nationwide group of Doctors expertly trained and specializing in the Upper Cervical procedure. Dr. Blom is also one of the few Doctors in the state of Idaho trained and certified in the Upper Cervical procedure. We are dedicated to helping patients just like you who suffer from postural problems resulting in chronic headaches, migraines, neck pain, shoulder pain, back pain and other ailments and diseases. Call our office ﻿(208) 5﻿59-0541 or fill out the consult request form above﻿. That's it.